Primates claim the highest proportion of endangered species among all mammals, according to the IUCN Red List. Yet, the substantial conservation interference from humans, which is already in place, could itself lead to even greater losses. Plenty of studies have proven that while researchers and ecotourists raise vital for ape conservation knowledge and funds, it is actually human presence that compromises primates' well-being due to extremely similar genetics and, thereby, easily transmittable diseases, ranging from common cold to human tuberculosis and Ebola fever. In a paper published in the open access journal BioRisk, Rhiannon Schultz, Miami University, seeks the golden mean between giving ape species a hand and keeping safe distance. To showcase the impact human have on primates, the scientist makes example of the Mountain gorilla, an endangered species living in the montane forests of the Democratic Republic of Congo, Uganda and Rwanda. Simply being in close proximity to primates, humans can easily transmit a wide range of diseases to the animals, including intestinal parasites, hepatitis, tuberculosis, Typhoid fever, Cholera, and Ebola fever. The transmission can occur as easily as having the two species breathing the same air, or the people leaving a banana peel behind. Furthermore, threats to the gorilla species are also posed by the humans destroying the primates' habitats. The result is overlapping populations, where a disease is much easier to transmit among the small gorilla populations. For example, normally an ill individual would be put under a 'natural quarantine', which is impossible when the habitat has already been reduced. In the meantime, banning people, both tourists and scientists, from gorilla habitat is not an option, since knowledge about the populations' dynamics is essential for the conservation of all primate species. On the other hand, ecotourism is what raises a great part of the resources need for conservation work. 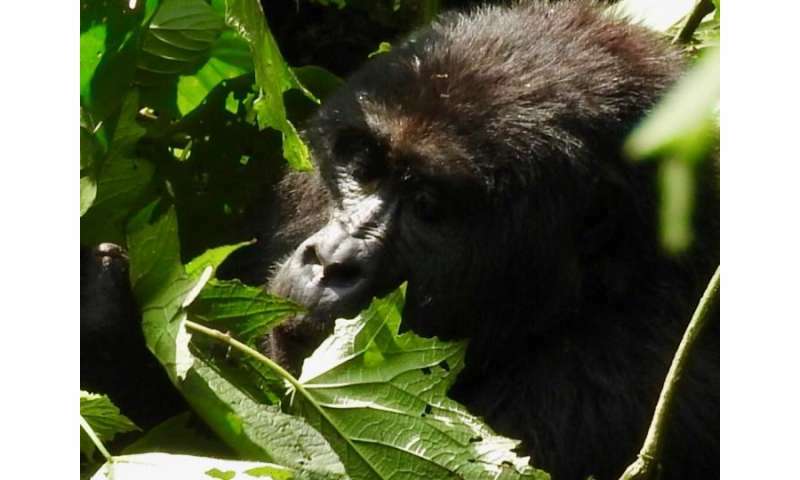 Income from gorilla trekking is enough to support the Ugandan Wildlife Authority, while also contributing a significant part to the country's national budget. The key, Rhiannon Schultz concludes, is to, firstly, promote understanding of the risk for interspecies disease transmission as a conservation threat, and then, improve on current protocols and regulations. 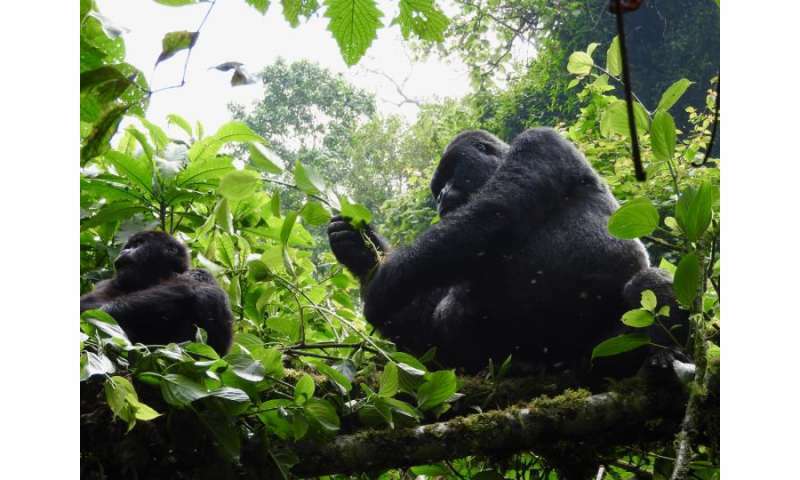 "It may be difficult to ask tourists to wear masks while visiting animals in the wild, and it may be expensive to maintain a veterinary program for wild populations and to improve healthcare systems for local people, but making these improvements could be the key to preventing disease transmission to not only Mountain gorillas but also to other apes," sums up the scientist.